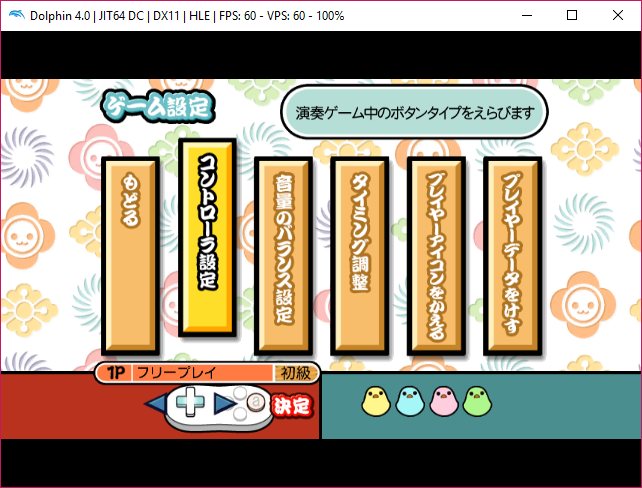 Hopes to become even better at Taiko no Tatsujin. 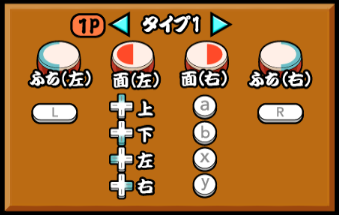 After a few painful days of brainstorming i have figured out a pretty easy way to play Taiko no Tatsujin (Wii) games with a keyboard, using a full 4 buttons instead of 2! Note: Depending on which of the games you play, latency can happen, which is the main reason that made emulation on this game tricky, as far as i know. Also, apologies for if this forum post looks messy, i've tried to make it look as clean as possible. 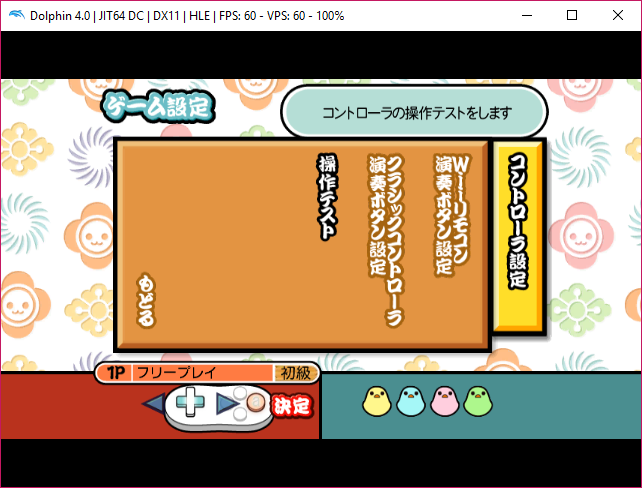 The most useful feature about the Taiko no Tatsujin games, which has made me figure this out, is what we will be reffering to as the 'Blue Menu'. The Blue Menu can be found on the main menu, as shown in the picture below. Please select it for this tutorial, as it will help when setting the key bindings. After heading into the 'Blue Menu', navigate to the second rectangular menu and press it. The mouse should work fine if you have not bound any custom controls. Following that, select the option that is the second from the right, as shown here. Select the option on the right. This menu contains the information about the original controls, sweet! Next, head into your Dolphin Wiimote configuration settings and change the extension to Classic Note: As this is what extension i use, i can guarantee that Classic should work. On the Wiimote, it is recommended to remove the key bindings to the 1 and 2 buttons, as this may interfere with the Classic controller. Head into the Classic configuration once you've done this. Using the picture that i've posted above, you may now change the key bindings to the correct buttons. I have provided my own configuration as example, where i've bound D, F, J and K correctly. You can use any other key binding that you'd like, as long as it doesn't interfere with other binds. Make sure to press OK to save, or save it as a Profile! When all these steps have been followed, you may test it out in the same Blue Menu. Back at the section with 3 options, select the one in the middle, also known as the second one from the left, shown here. In here, you can check if you have set up the key bindings correctly! If everything works correctly, great job making it this far! This is truly all that you need to know. 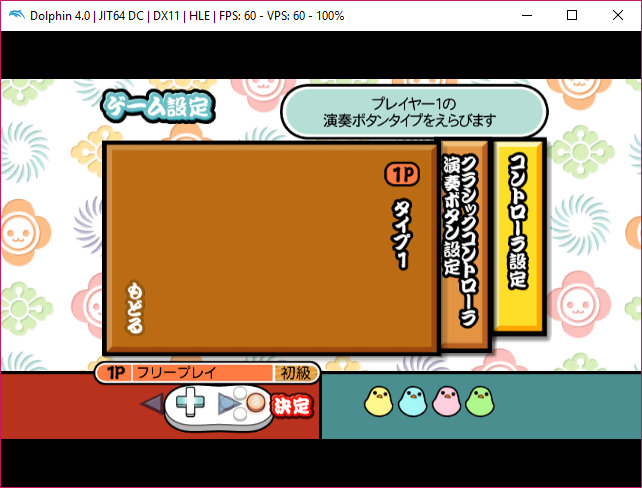 You'll be able to play Taiko no Tatsujin games with 4 buttons! Edit: System specs: Windows 10 Pro 64 Bit, Intel i5 7400 (3 GHz), 8GB RAM, Gigabyte Technology H110M-H-CF Motherboard, NVIDIA GeForce GTX 1050, 931GB TOSHIBA HDD. Dolphin version 4.0 is used as of this post. 4.0 stable isn't supported anymore, can you verify that this works with 5.0 stable and the latest 5.0-dev build as well? (02-13-2018, 07:40 AM)KHg8m3r Wrote: 4.0 stable isn't supported anymore, can you verify that this works with 5.0 stable and the latest 5.0-dev build as well? I've updated to the latest version. The controls work perfectly in 5.0, and it seems to have solved an input delay problem i've had as well. I cannot seem to get a hold of the dev version, however. Tested the latest 5.0 dev build which, as of this reply, was uploaded about 3 hours ago and it worked fine. Everything seems okay. 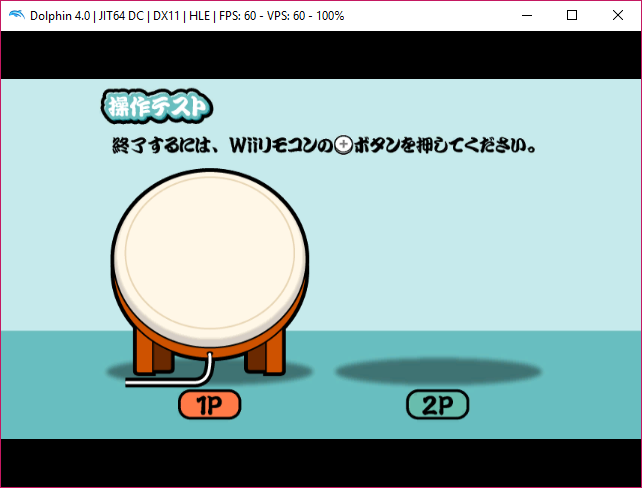 Is there anyone here with a taiko no tatsujin drum controller (wii, PS4, Nintendo Switch) that has the drum controller connected to their PC? Then have the drum functions mapped to keyboard? 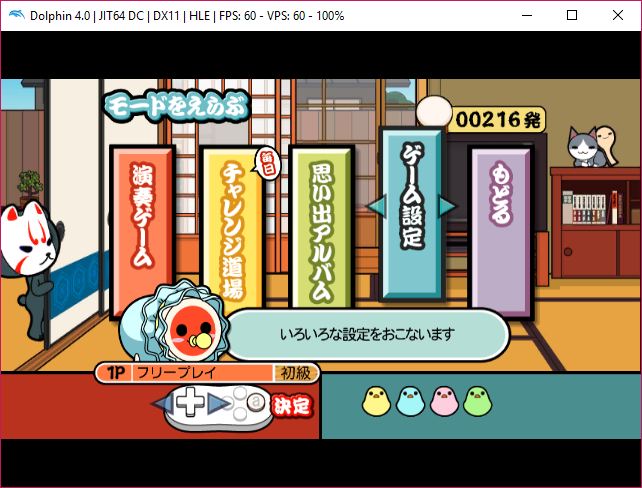 I would like to use a real taiko no tatsujin drum controller and play it within my PC. But there's a lot of steps to achieve this. I think I need something a lot simpler. 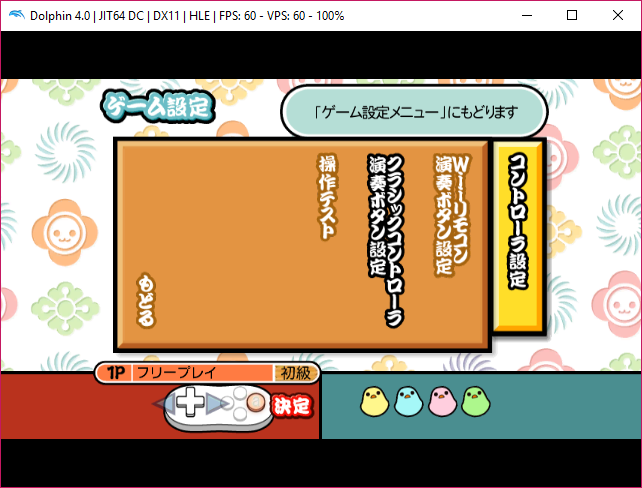 Plus I think for the dophin emulator, it only likes the Gamecube controller or Nintendo Wii controller.